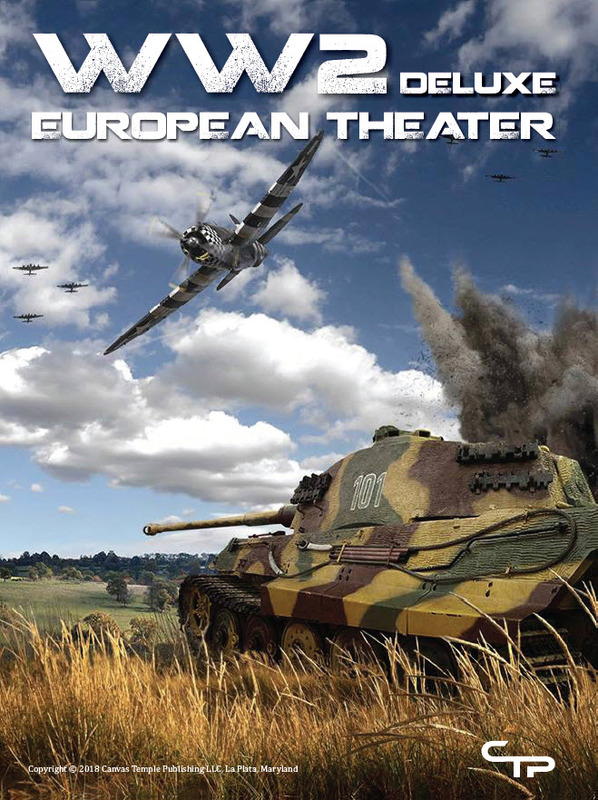 WW2 Deluxe: European Theater [CPT1802] - $79.95 : Canvas Temple Publishing, Old Codgers Trying to Retire! 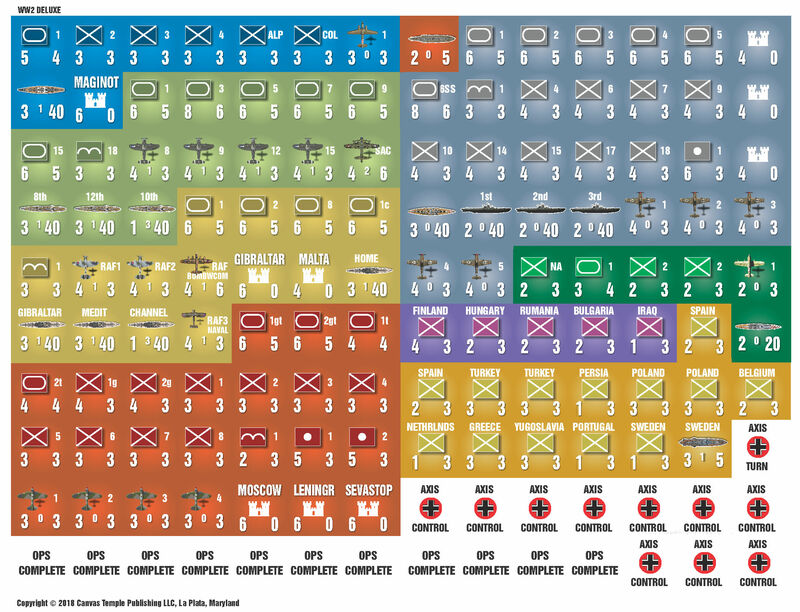 WW2 Deluxe is a grand-strategic game utilizing armies or army groups, air forces, and fleets. 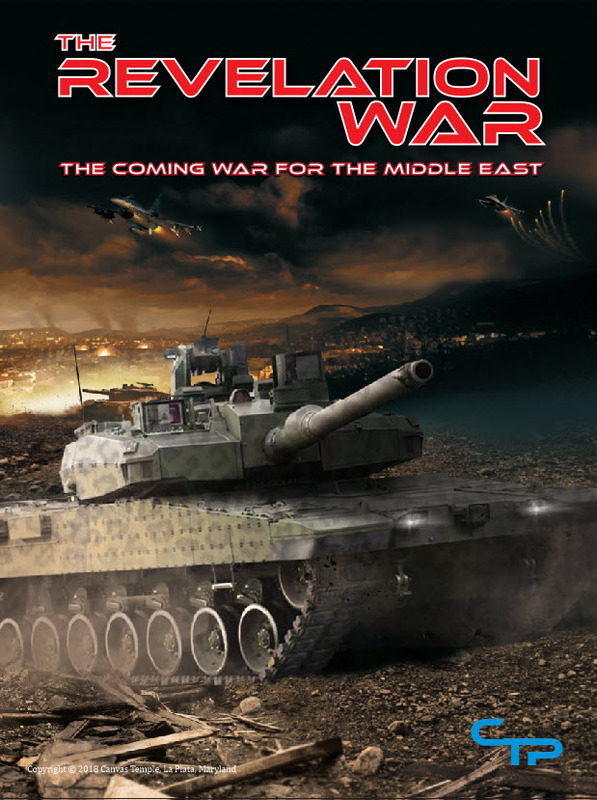 The game covers the entire conflict in Europe, North Africa, and the Middle East. There are two players or sides in the game. The Axis controls Germany, Italy, and all friendly minor countries. 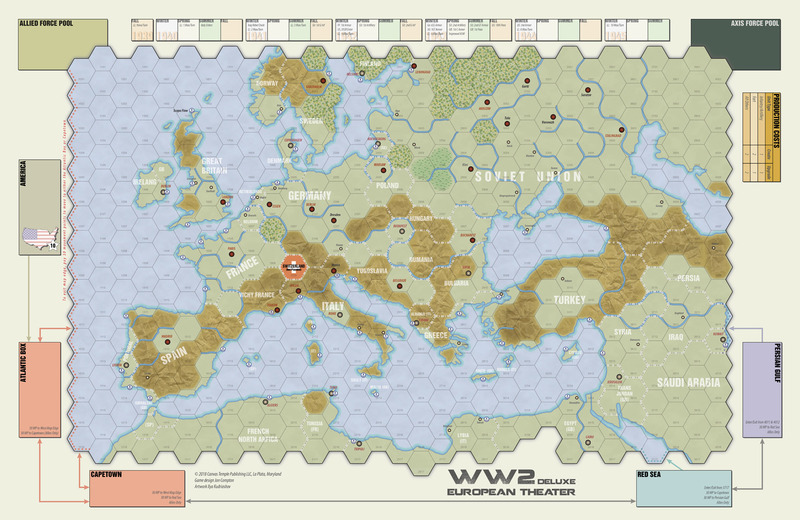 The Allied player controls France, Great Britain, the Soviet Union, and the United States when it enters the conflict. We at Canvas Temple have been at this a long time; designing and playing wargames. The youngest of us has been playing over 35 years. Like many old-school wargamers, our eyesight has declined, our fingers have become fumbly, and our time has become scarce. So we decided to make the perfect wargame for us old timers. A grand strategic game that is big in scope (and in lettering!) that can be played in an evening. Utilizing 3/4" counters, a full-sized map with giant hexes, and a tried and tested game system that approaches its subject with enough abstraction to keep the game tight, but just enough detail to do justice to history and create an array of complex decisions. 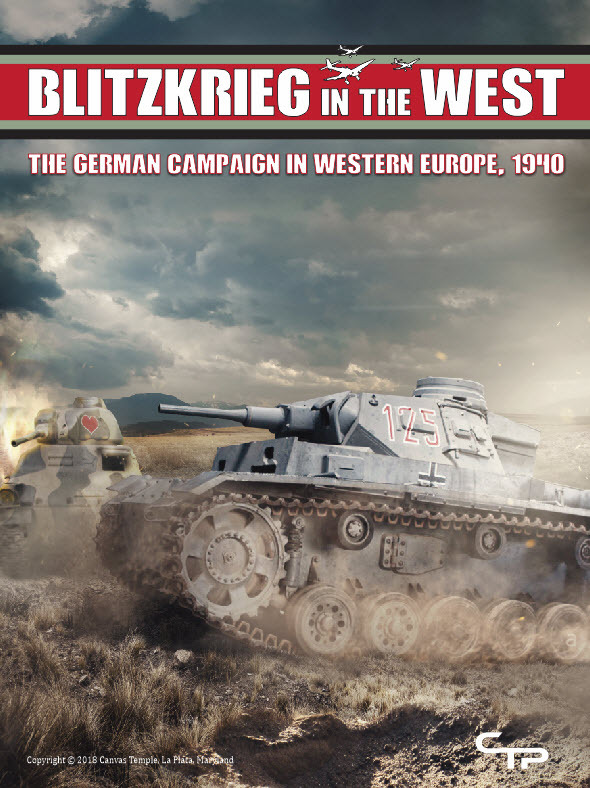 WW2 Deluxe is a new and improved instantiation of 2WW, originally published by 3W and designed by Bill Banks. The most recent edition of the game, the 3rd, was designed by Jon Compton and was quite well received critically (read Robert "Smitty" Smith's review of the 3rd edition, here). This new fourth edition takes it to the next level, with vast improvements in play ergonomics, and a tightening down of the rules and system.